From the collection of James Brennan™ comes this hand-crafted crucifix. Known for his devout faith, keen understanding of the market and attention to the finest details, James Brennan has brought his 60+ years of experience to the development of our collection. This top of the line piece is highly detailed and expertly finished to become a treasured family heirloom. 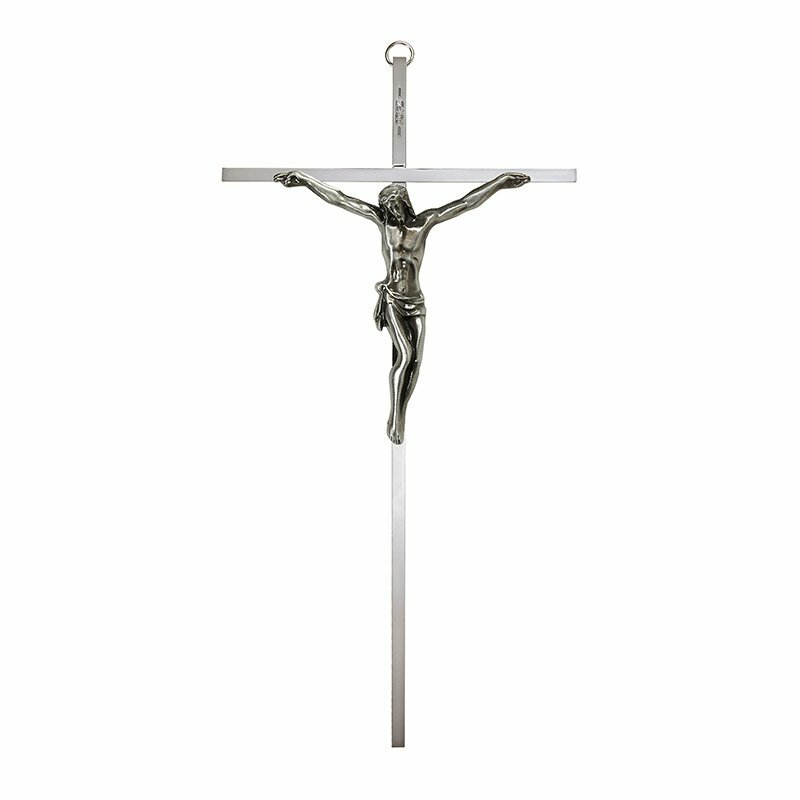 The warm antique luster of nickel and pewter are combined to create a rich patina on this nickel-plated crucifix. Each piece is packed securely and placed in a blue box for storage.